One Momma Saving Money: Littlest Pet Shop: Pet Tales out on DVD on March 8th! Littlest Pet Shop: Pet Tales out on DVD on March 8th! These Pets Are Sharing Extraordinary Adventures And You’re Invited! Join Blythe and her pet friends (Zoe the spaniel, Pepper the skunk, Sunil the mongoose, Russell the hedgehog, Penny the panda, and Minka the monkey) as they return for five outrageous tales, including their tangles with fairies and witches, mysterious jungles, quarreling koalas and much, much more! It’s all here in the Littlest Pet Shop: Pet Tales! Blythe and the gang are back at it again in the fun DVD from Shout Factory! You get five fun filled episodes! 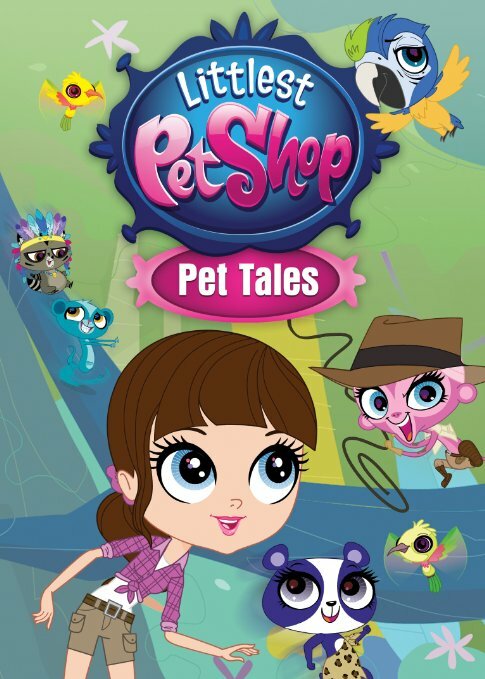 The episodes features are from season two and three.The Littlest Pet Shop: Pet Tales continues to showcase important lessons in loyalty, friendship, understanding, diversity, etc. These are fun and entertaining, a must for Little Pet Shop fans! Enjoy the adventures Blythe has with Littlest Pet Shop friends. This is perfect to pick up now for the Easter Basket! Purchase Littlest Pet Shop: Pet Tales on Amazon for $14.93 & FREE Shipping on orders over $49.